I still finding Gundam Age humourous for all the wrong reasons. All the cliches and emoness just brings a smile to my face every time, I am such a bad person. 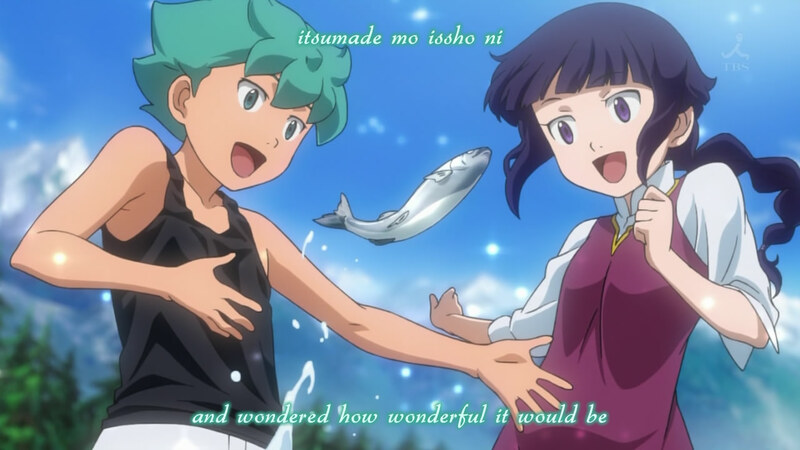 We get our lovely purple haired mystery lover back for the majority of this episode, that was probably the high point of the whole episode. That and watching the childhood friend realize she has been friend zoned hard. I was laughing so hard at this, the wholecrew is busy devising a strategy while we get random scenes of Flint chasing skirts. It was just so funny how we clearly loves her and blushing all episode while the childhood friend gets the cold shoulder all the time. Serves her right for trying to stop him from piloting the Gundam. One girl encourages it, the other one wants you to "settle down". Pretty obvious which is the correct choice! 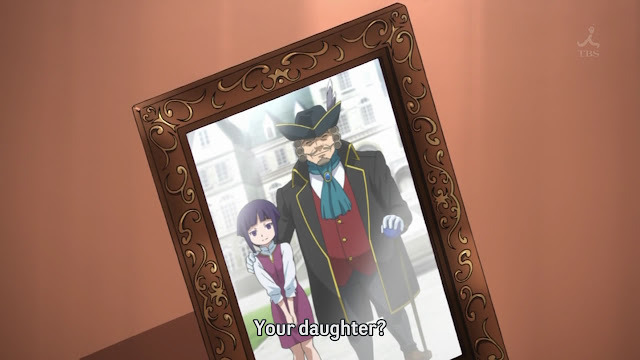 How did the pirate looking guy even come to adopt her? When you're rich and pretty much own the whole colony, you don't adopt strangers. I swear there is more to this relationship then what is let on. It is only inevitable that she eventually joins the crew to steal away Flint's heart, I can't wait to see the childhood friends pain; Dem delicious tears! 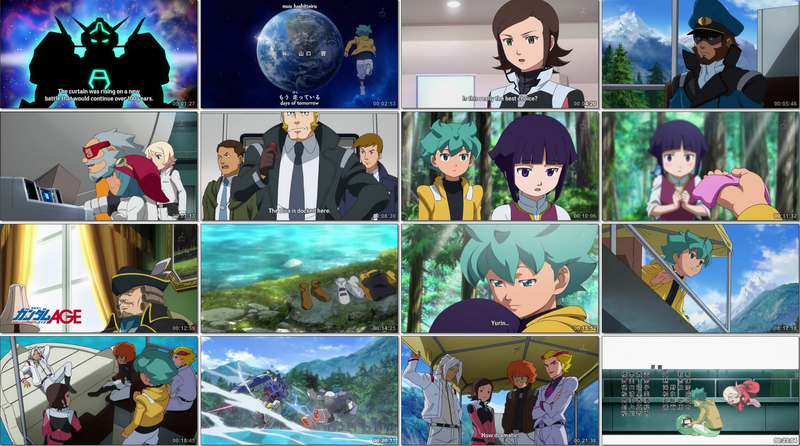 When you watch Gundam for the emo drama and not the battles, I think I am doing something wrong. I'll have to see how well Gundam Age fits into the winter lineup, I will probably continue this since next season doesn't have much anime that peak my interest. This will be one of the first anime I drop if I want to blog about more shows and their is conflicts. 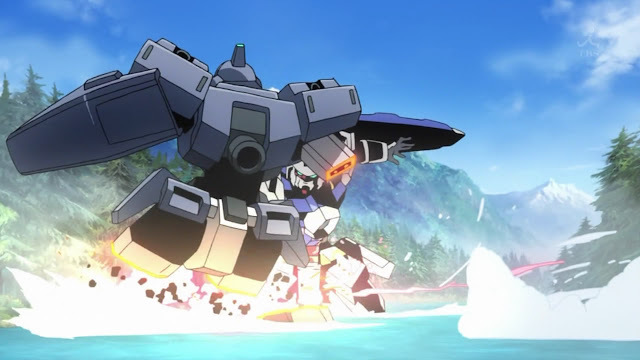 Gundam without any good fights and terrible mecha designs makes for a terrible show. At least their are plenty of emo and cliches scenes to laugh at!